I am a road kill recycler, cook and wild food forager. I love being creative and injecting humour into what I ‘rustle up’! I enjoy the challenge of using the body parts other cooks don’t like to use! This is one of many creations – the ‘Foot & Fadge’ terrine made from an organic pig’s trotter and uterus with goji berries! 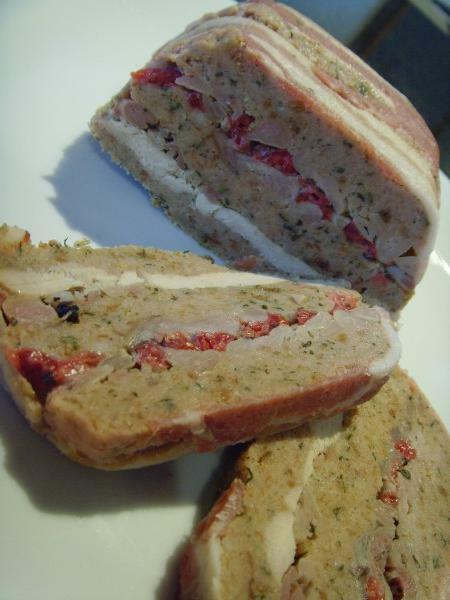 I didn’t serve this pork terrine on Come Dine With Me though… maybe I should have! lol. I often hold impromptu workshops at camps and small festivals, teaching the joys of Road Kill Preparation. It always amazes me how squeamish your average carnivore is! I love what I do. I am a very happy scavenger and I dislike waste. To watch the full hour long programme click here: Hairy harrogate & Road Kill Thrills – Come Dine With Me.